How Will China React to Indonesia’s Sinking of a Chinese Vessel? A look at what we might expect from Beijing. As I reported previously, on Wednesday Indonesia destroyed a Chinese vessel caught fishing illegally in Indonesian waters near the South China Sea, the first since President Joko “Jokowi” Widodo declared war on illegal fishing when he came into office late last year (See: “Indonesia Sinks First Chinese Vessel Under Jokowi”). How might we expect Beijing to react? So far, the only publicly-confirmed reaction from China has come from Chinese foreign ministry spokesman Hong Lei, who said that Beijing was concerned about the reports and was seeking clarification with Jakarta. “China is gravely concerned about relevant reports, and is asking the Indonesian side to make clarifications,” foreign ministry spokesman Hong Lei reportedly said. What might China do beyond this? Though there is always a risk of incidents like these eventually spiraling out of control, the most likely scenario is that Beijing will register its concerns and both sides will work the issue out diplomatically. It is unlikely to significantly damage the overall bilateral relationship. Incidents of this sort have tended to be resolved in this way even if they seem like flashpoints at the time. For example, when, on June 20, 2009, eight boats containing 75 Chinese fishermen were seized for infringing on Indonesia’s exclusive economic zone (EEZ) in the South China Sea, an agreement was eventually worked out between the two sides which saw the release of most of the fishermen. That case is particularly relevant today since Indonesian media reports suggest that the Chinese vessel sunk on Wednesday was one of those seized in the 2009 incident. While Beijing is admittedly dealing with a government in Jakarta now that is far pricklier when it comes to sovereignty and territorial integrity, it is also true that the stakes are lower in this case. The issue at hand is the sinking of an empty vessel rather than the welfare of fishermen. Furthermore, as I have written before, both sides attach great importance to the Sino-Indonesian relationship. Ties have blossomed over the past decade, with trade quadrupling to $66 billion and investment increasing to $2 billion as both countries went from strategic partners in 2005 to comprehensive strategic partners in 2013. People-to-people relations have also expanded appreciably, while military ties have advanced, albeit at a more cautious level. Under Jokowi, the two sides have been looking at ways to further solidify cooperation, and Indonesia’s enthusiasm for the Asian Infrastructure Investment Bank (AIIB) and ongoing conversations about how Jokowi’s global maritime fulcrum doctrine can potentially complement Beijing’s 21st Century Maritime Silk Road idea suggest that there is at least some promise there (See: “China and Indonesia Under Jokowi: Show Me The Money”). Of course, as I have consistently pointed out, there is still lingering distrust towards China in Indonesia and outstanding concerns in several areas, including Beijing’s nine-dashed line which encroaches into the waters surrounding Jakarta’s resource-rich Natuna Islands (See: “No, Indonesia’s South China Sea Policy Has Not Changed”). The point is that the relationship is important enough for both sides cautious about letting irritants get in the way of advancing ties even further. In addition, as I noted in my earlier piece, Indonesia has demonstrated great caution in the way it has gone about the sinking of this first Chinese vessel. As opposed to other Asian states whose vessels were sunk with immediate effect, Indonesia’s stance towards China evolved more gradually. The seizure of several boats in December led the government to revoke a deal signed with Beijing on cooperation in the fisheries sector in early 2015 before the first actual sinking was carried out this week. The Chinese vessel was also destroyed along with 41 vessels from other neighboring states, rather than alone or in much smaller numbers as has been the case with other countries. In addition, Indonesia’s Minister of Maritime Affairs and Fisheries, Susi Pudjiastuti, was careful to emphasize that the sinkings were not a show of force, but merely a case of Indonesia enforcing its laws. The more interesting and difficult question is how this might affect unrealized cooperation going forward, rather than cooperation that is already ongoing. This is particularly true in the maritime domain, including in fisheries which Hong referred to. 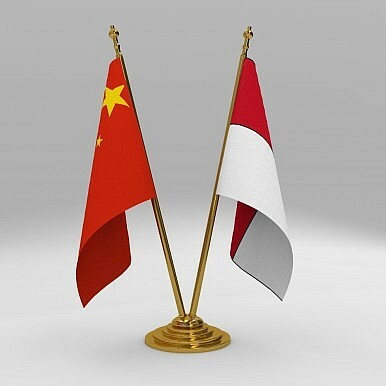 That will be contingent on a number of other critical factors, including whether the sinking of the Chinese vessel represents the beginning of a stricter Indonesian line that we will see applied periodically moving forward, as it has been with other countries.